William Tucumseh Sherman once said "War is Hell." 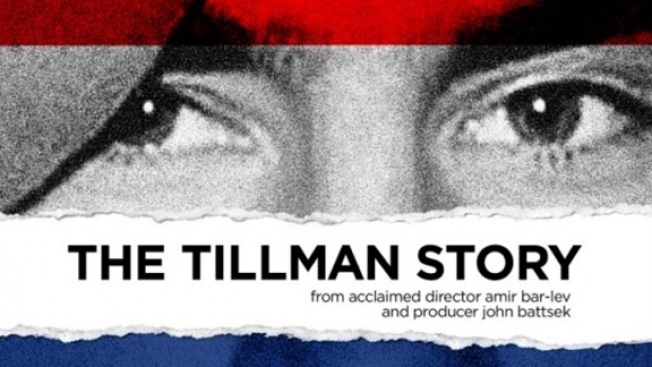 In Amir Bar-Lev's skillfully composed documentary "The Tillman Story," the audience gets to see that war is also wasteful, heartbreaking, ruinous and shrouded in deceit. The film opens in New York and Los Angeles on Friday, with a wider release set for Sept. 3. There are few Americans who managed to escape the tragic tale of Pat Tillman, an NFL star so profoundly moved by the tragedy of 9/11, he walked away from a multimillion-dollar contract with the Arizona Cardinals in May 2002 so he could serve his country. On April 22, 2004, Pat was killed in the line of duty while in Afghanistan. It was a shocking death that whipped the media into a frenzy as each detail of his passing and funeral were documented in exhaustive detail and spun into pro-America propaganda by everyone from the local news to President George W. Bush. But what managed to evade that microscopic gaze was that Tillman had actually been killed by friendly fire in a series of events typically referred to by the military term: Charlie Foxtrot, aka a clusterf--k.
Told through interviews, news clips, archival footage and Josh Brolin's gravelly voiceover, "The Tillman Story" unravels the harrowing reality of Pat's death, something the military under Bush administration calculatingly covered up in favor of a flag-waving yarn of patriotism that could be used as a party line. Wisely, the Tillman family wasn't content to quietly weep into the perfectly folded flag they were given in condolence, instead seeking answers to questions about their son's death. As the murky, disturbing truth slowly comes to light, Bar-Lev uses second hand accounts, photos and a few short video clips to give viewers the opportunity to meet and fall in love with Pat Tillman. While you discover he was a man who loved Noam Chomsky, opposed the war in Iraq, was a natural leader, capably heroic, well-educated and thoughtful, the film isn't a eulogy, it's an intimate and touching portrait of loss that flings the audience from grief to rage and back again. Appalling, disturbing, beautifully assembled and emotional, Bar-Lev ("My Kid Could Paint That") weaves a documentary that sinks into your bones, leaving its weight behind long after you've left the theater, especially when you realize Pat's story is one of millions to illustrate the horror brought on by war.